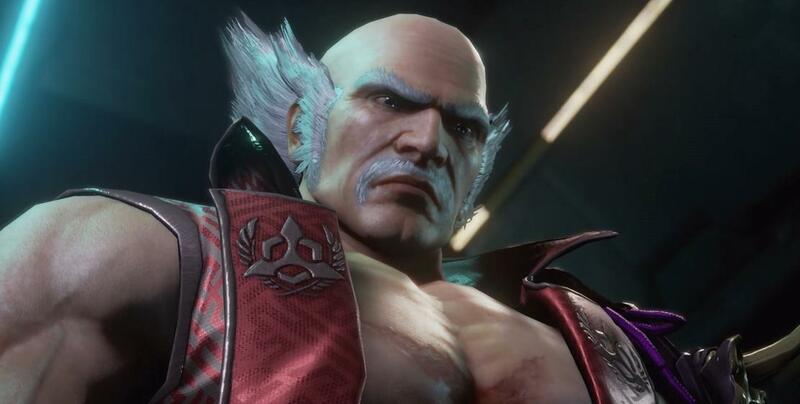 Heihachi can be defined as a powerhouse character in T7. He is a Mishima so that comes with the perks of Mishima chars with a dominating space control with EWGF, hard-hitting lows, strong jab hitconfirms and a wavedash which allows him to cover the gap between himself and the opponent at his own pace and allows him to vary the timing on his pressure. Once he is in your face, he has access to some of the best mids in the game to allow him to score CHs on his opponents and harass them with jab strings. However he does lack low pokes meaning he relies more on his powerful CH game to open his opponents up or he can choose to play a high risk/high reward with his hard-hitting lows. Great mobility with wavedash á la Mishima. One of the highest damage outputs in the game. No lower risk lows for poking. Balls to the wall rushdown.